While many tourists clamor to Broadway for their theater fix when visiting New York City, those in the know often opt for Off Broadway, where they’re closer to the action and usually paying half the price. 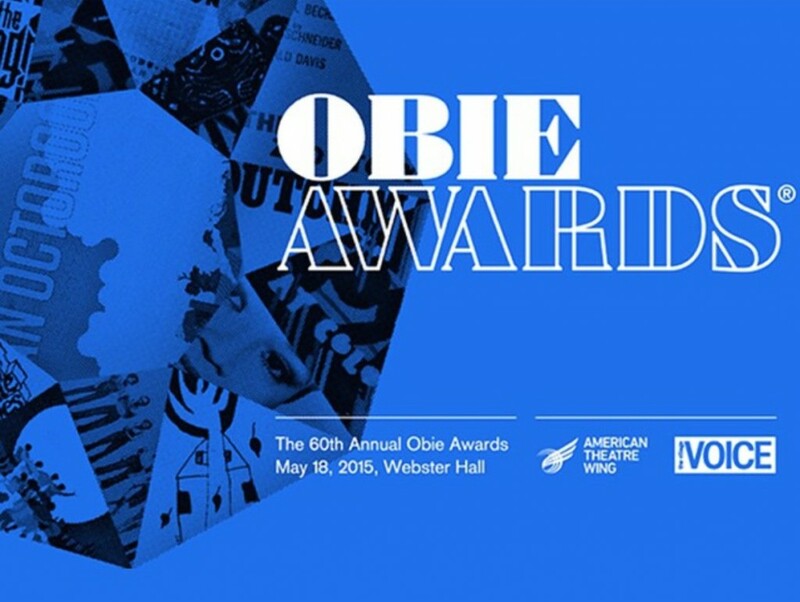 In celebration of another year of fantastic new plays, revivals and musicals, the American Theatre Wing and The Village Voice have announced that the 60th Annual OBIE Awards will be held on Monday, May 18, 2015 at Webster Hall (125 East 11th Street). Tickets to the 2015 OBIE Awards are now available via www.ObieAwards.com. As was previously announced, the American Theatre Wing has entered into a partnership with The Village Voice to co-present The OBIE Awards, Off Broadway’s Highest Honor. The Village Voice created the OBIE Awards, at the suggestion of then editor Jerry Tallmer, soon after the publication’s own inception in 1955, to encourage the newly burgeoning Off Broadway theater movement and to acknowledge its achievements. The OBIES are structured with informal categories, to recognize artists and productions worthy of distinction in each theatrical year. Over the decades, the OBIE Awards have played a major role in the Voice’s long history of championing work of innovative and exceptional quality Off and Off-Off Broadway. The Village Voice put the new downtown theater movement on the map with its in-depth coverage, becoming a forum for conflicting viewpoints which helped generate excitement over new works and new approaches to theater-making. The OBIES have become a theatrical tradition, a meaningful way to acknowledge the best artistic achievements of downtown theater. 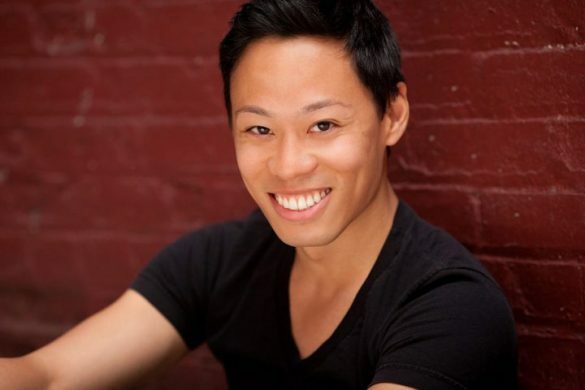 The list of actors, writers, directors, and designers who have received OBIES at pivotal moments in their careers is a virtual who’s who of contemporary theater. While the categories of the awards have continued to change almost annually, the creative spirit remains the same. The OBIE Awards continue to salute a theatrical movement that’s as important, and as vibrant, today as it was in 1955. The American Theatre Wing is dedicated to advancing artistic excellence and nurturing theatre’s next generation: on the stage, behind the scenes, and in the audience. For nearly a century, the Wing has pursued this mission with programs that span the nation to invest in the growth and evolution of American Theatre. Traditionally, the Wing has encouraged members of the theatre community to share their off-stage time and talent directly with the theatre audience at large—whether it was singing for the troops in the Stage Door Canteen of the 1940’s, or sharing their stories on a podcast today. As the founders of The Tony Awards, the American Theatre Wing has developed the foremost national platform for the recognition of theatrical achievement on Broadway. Yet the Wing’s reach extends beyond Broadway and beyond New York. The Wing develops the next generation of theatre professionals through the SpringboardNYC and Theatre Intern Network programs, incubates innovative theatre across the country through the National Theatre Company Grants, fosters the song of American theatre through the Jonathan Larson Grants, honors the best in New York theatrical design with the Henry Hewes Design Award, and illuminates the creative process through the “Working in the Theatre” program and media archive. The American Theatre Wing has also entered into a long-term partnership with The Village Voice to co-present The OBIE Awards, Off Broadway’s Highest Honor, beginning this year, which will mark the Award’s 60th Anniversary in May 2015. Visitors to americantheatrewing.org can get inspired and gain insight into the artistic process through the Wing’s extensive media collection, and learn more about its programming for students, aspiring and working professionals, and audiences.